FEM speaks with Eleanor Winder ahead of the FEM EMEA Summit 2018. We asked Eleanor Winder, Technical Assistant to HR of Rolls-Royce, what really happens when you win the award for Global Mobility Rising Star of the Year as she did in 2017. Winning the Global Mobility Rising Star award last year has been great on so many levels – it was amazing to recognised at an industry event for my contributions to the team at Rolls-Royce, what a confidence booster! Alongside the value to me personally it was also a great platform to raise my profile both within Rolls-Royce and more broadly externally. I have now actually moved out of the Global Mobility team on a secondment, but I do think the world seems to be getting smaller. As technology advances, travel gets cheaper and organisations are tightening the purse strings there is an interesting question over how global mobility will change and evolve in response to this. We are also therefore seeing more and more great technology in the Global Mobility space from assignment management to tax compliance support. I am not so sure I had any expectation of winning! It was a great surprise. One of the best things about attending the EMMAs is connecting with peers and friends in the Global Mobility sphere – hearing the latest news, finding out who has moved where, sharing good news stories and challenges we are facing. It's always such a great opportunity to network, as well as of course hearing updates during the conference sessions. Today being creative and finding new ways of working and new ways of solving problems is so important – be creative and collaborate with your peers to create the future of Global Mobility. 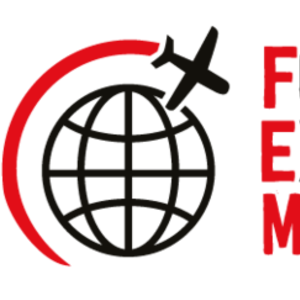 The Forum for Expatriate Management is a great organization that works hard to bring Global Mobility professionals and service providers together through various forums. The awards (ran globally in various locations) are an especially great way to highlight great products, services and individuals to a broader network.